Railway Minister Piysuh Goyal has directed the Railway Board to decide the fate of these projects for they have become a financial burden on the cash strapped Railways. 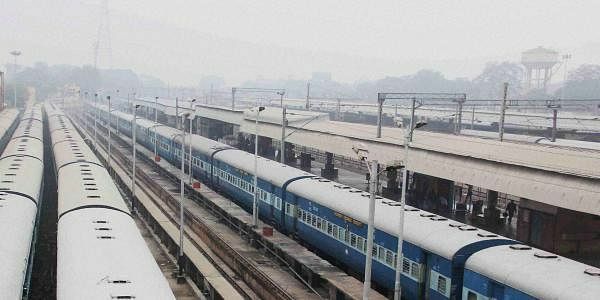 NEW DELHI: Indian Railways is reviewing the status of its 171 projects, mostly of starting new lines worth over Rs 1.5 lakh crore, as they have not taken off in over a decade. A majority of these projects were announced by former railways ministers Lalu Prasad Yadav and Mamata Banerjee in their rail budgets. During a review of pending projects Railway Minister Piysuh Goyal has directed the Railway Board to decide the fate of these projects for they have become a financial burden on the cash strapped Railways. In total, 491 projects—new line, gauge conversion and doubling of tracks—worth Rs 4 lakh crore are pending. According to Railways officials, most of these projects were announced by former railway ministers out of social obligations and did not have financial viability with negative rate of returns in 90 per cent of projects. In most projects, states failed to facilitate transfer of land to the Railways. “These projects have been categorised as dead projects with no progress and no financial viability to the Railways. We are reviewing these projects, and a decision will be taken at the highest level,” said a senior Ministry of Railways official. An order has been issued by the Railway Board. “Projects where local support/state support is not forthcoming resulting in poor/nil progress as well as old projects that have not made any headway or projects that are unlikely to give any tangible benefits to the Railways would need to be continuously reviewed. Such reviews may be carried out in structured quarterly meetings to be convened by the General Managers,” said the order issued on October 30. Of the 171 projects, 40 were sanctioned during Lalu’s tenure as Railways minister from 2005-09, and 70 by Mamata from 2009-11. Before the 2009 Lok Sabha elections, Lalu announced 11 rail projects for Bihar in the 2008-09 Rail Budget. The progress in these projects is zero. While the Railways officials review the projects, it will be a political call that will decide their fate. “Budgetary allocation has to be made for each project every year. If these projects are dropped, then money allotted for them can be diverted to profitable and viable projects. But these can’t be deleted by the Railways as they were part of the budget and were passed in Parliament. Their withdrawal has to happen after approval from Parliament,” the official added. · 491 projects worth Rs 400,000 crore pending. · 171 new line project worth Rs 150,000 crore pending. · 40 sanctioned by Lalu Yadav from 2004-09. · 70 by Mamata Banerjee from 2009-11.